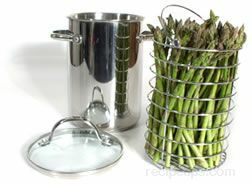 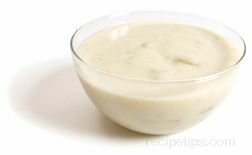 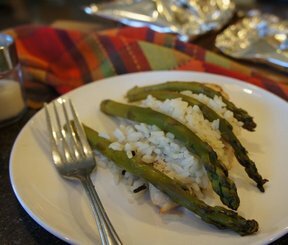 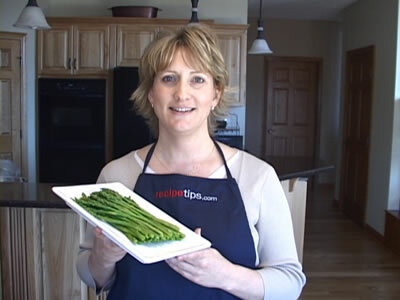 Whether you are preparing asparagus soup, grilled asparagus, or roasted asparagus, use RecipeTips.com's simple fresh asparagus preparation demonstration to enhance the flavor and appearance of your favorite asparagus recipes. 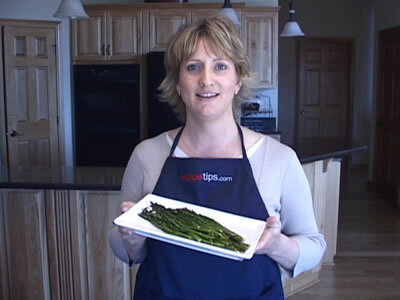 Today I am going to show you how to prepare fresh asparagus. 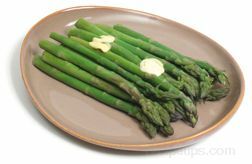 For more information on fresh asparagus and other vegetables go to RecipeTips.com. 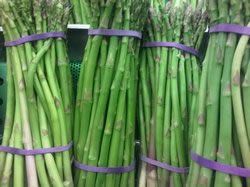 To begin preparing fresh asparagus you want to remove this tough woody end from each stock. 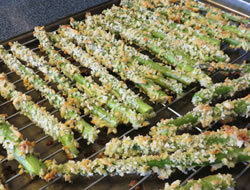 To do that, just follow the natural color of the asparagus. 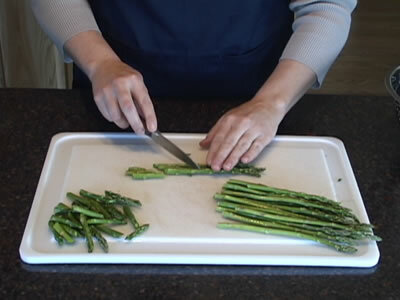 Wherever it starts to turn a little bit lighter, slice right there. 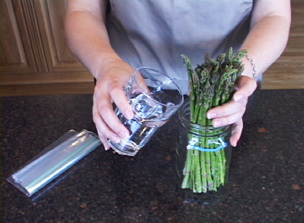 Another great way to do this is to grab the stalk by the end and just snap. 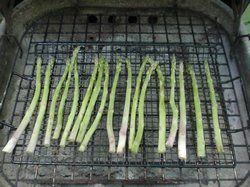 Wherever it snaps is the natural break for the asparagus. 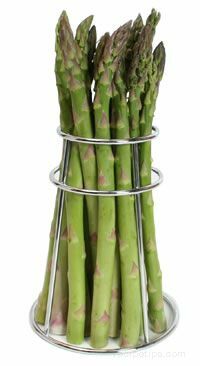 If presentation is important and you want your asparagus spears to all be the same length, line your spears up from the top, hold them down and then just take your knife and cut across the bottom to make a nice even length in your asparagus. 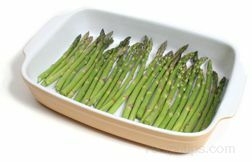 Once the ends have been removed from the asparagus and the recipe calls for cut asparagus, lay your stalk out and cut the asparagus at a diagonal into one to two inch pieces. 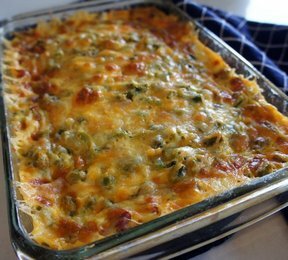 For a speedier version, lay a couple out and do more than one at a time.